Auto Restorations’ machine shop is well equipped and staffed by seasoned experts. This allows them to make or recondition any mechanical part they need to restore a car, almost without exception. From engine block to king pin, they can machine them all. 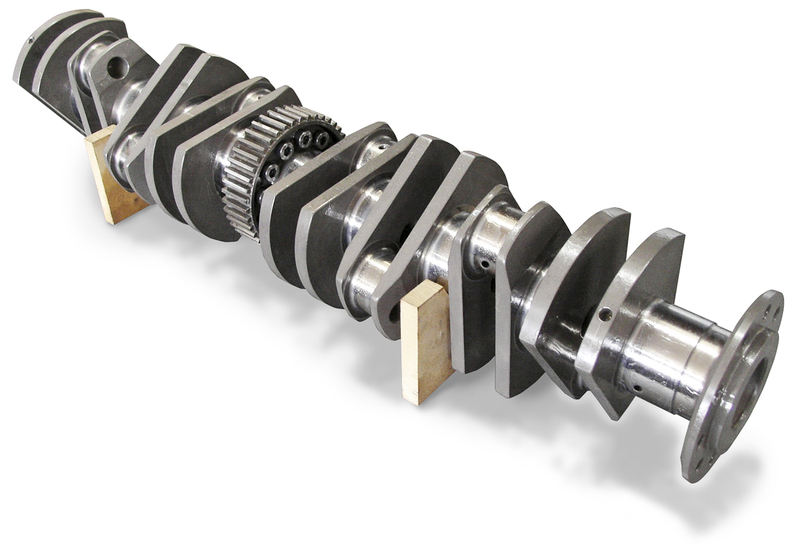 Crankshaft made from billet steel for Aston Martin DB6 engine by Auto Restorations’ machine shop. These photos were shot and photo composites produced 2009–2012, they offer a historical profile of Auto Restorations during that time soon after Allan Wylie stepped up from the Mechanical Shop floor to the role of General Manager. Pictures of their employees on their redesigned website, and capabilities brochure in print helped Auto Restorations transform from a faceless company to people that their customers can relate to. The highly specialised, high value personal service that Auto Restorations’ workforce offer to customers is an advantage that they have over large companies. Good photos of their skilled workforce reinforce this.